Just Add Ink: Just Add Ink #259....Sequins! Happy Friday friends! 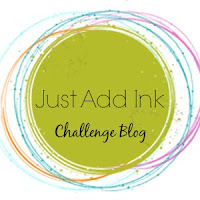 It's time to share this weeks new Just Add Ink challenge. Patrice has suggested we "Just Add Sequins".....So much sparkly fun! The design team have created some fabulous samples using "Sequins" in such a variety of ways, we hope after seeing them, you'll be inspired to join in the fun this week and play along. Chris Parker Barnes-April guest designer. Just Add Ink # 258 - Colour Challenge! Just Add Ink # 257 Winners!! Just Add Ink #256 - Winner! !